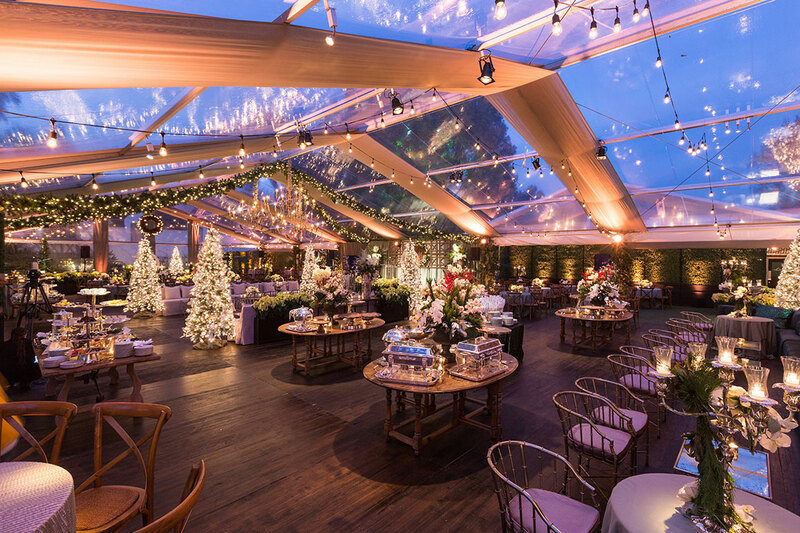 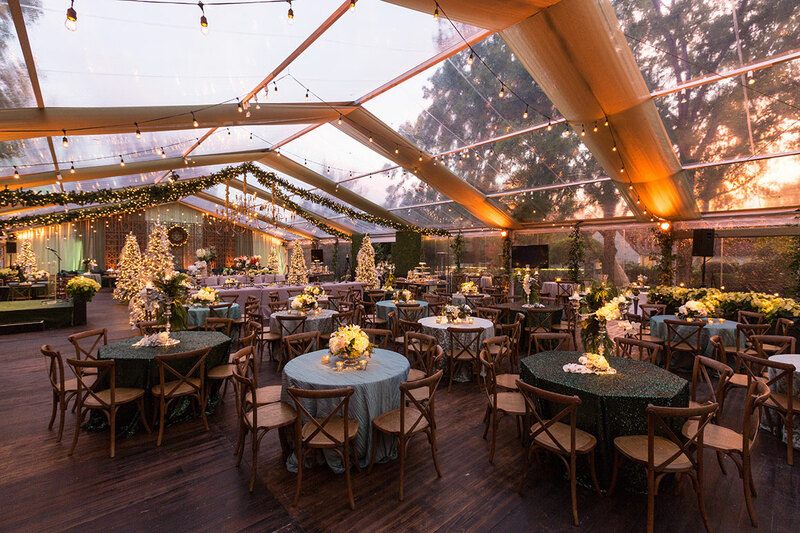 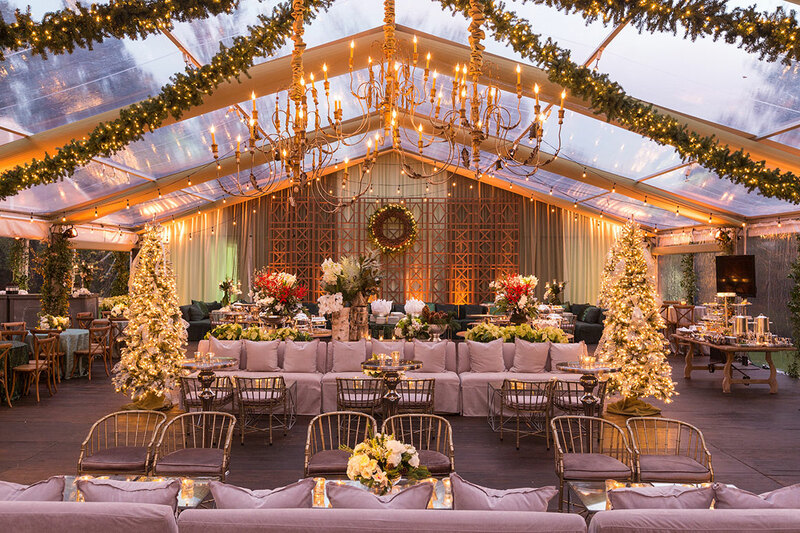 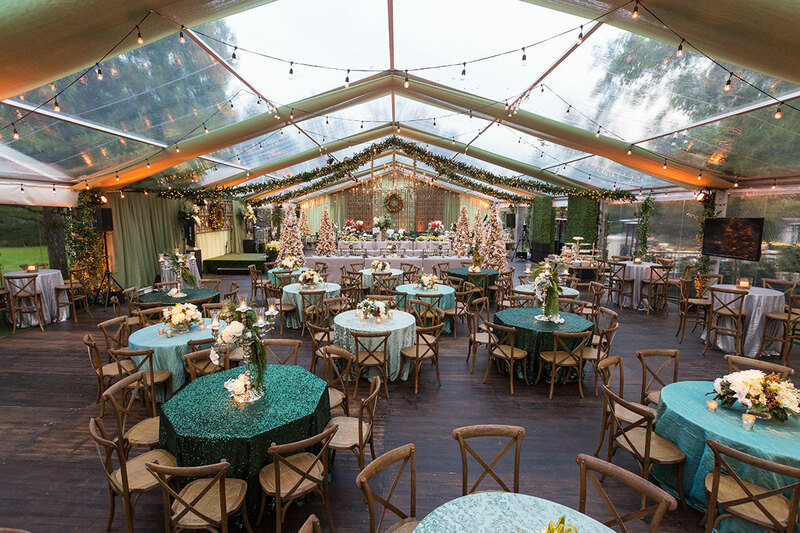 For this fundraising event, the Swift + Company team turned a private home into an enchanted snow-covered forest. 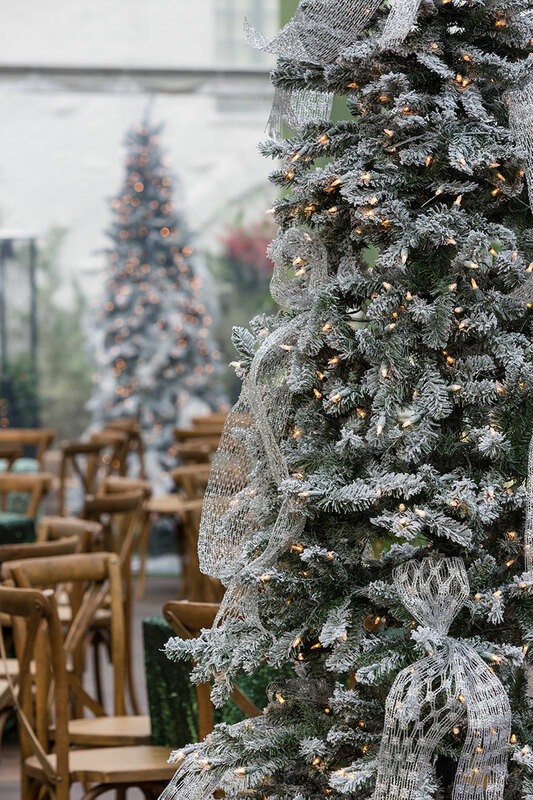 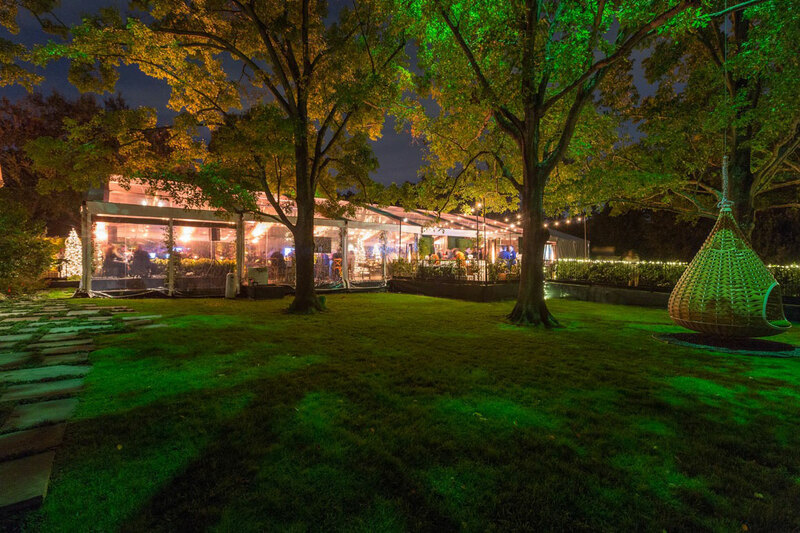 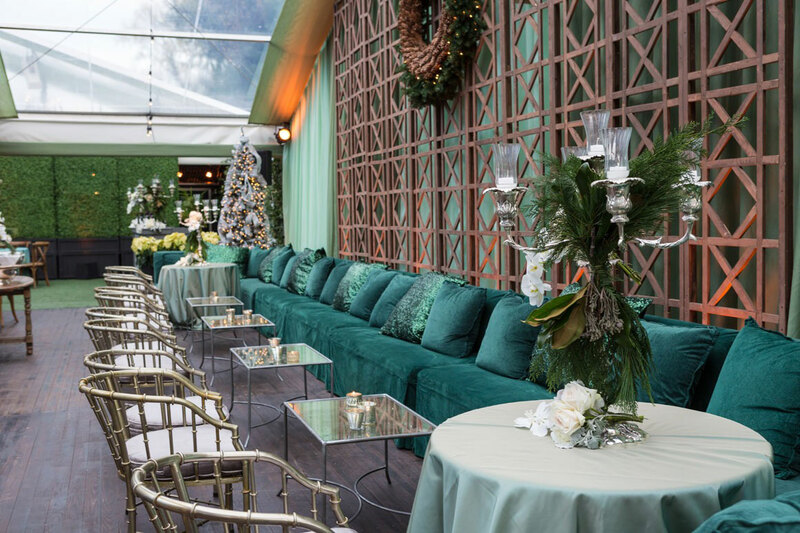 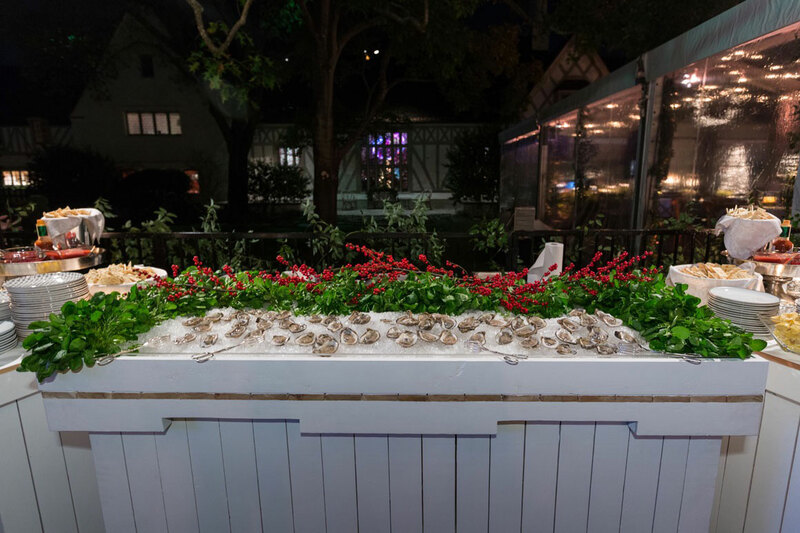 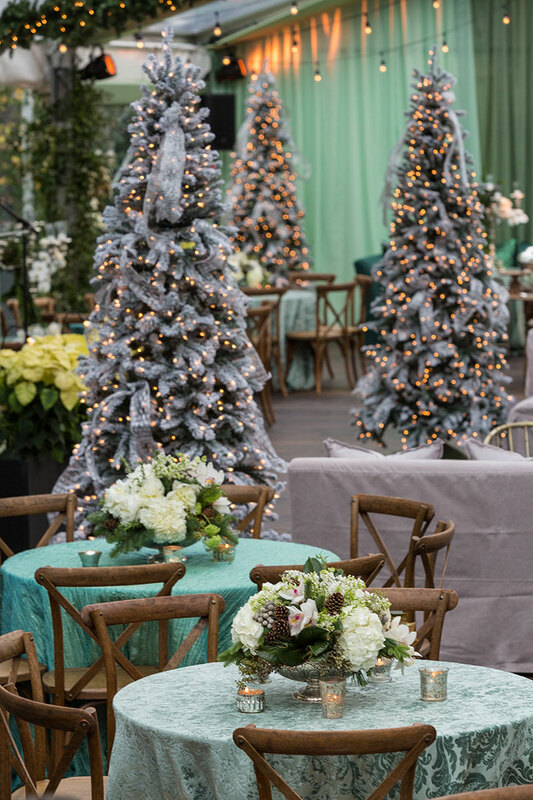 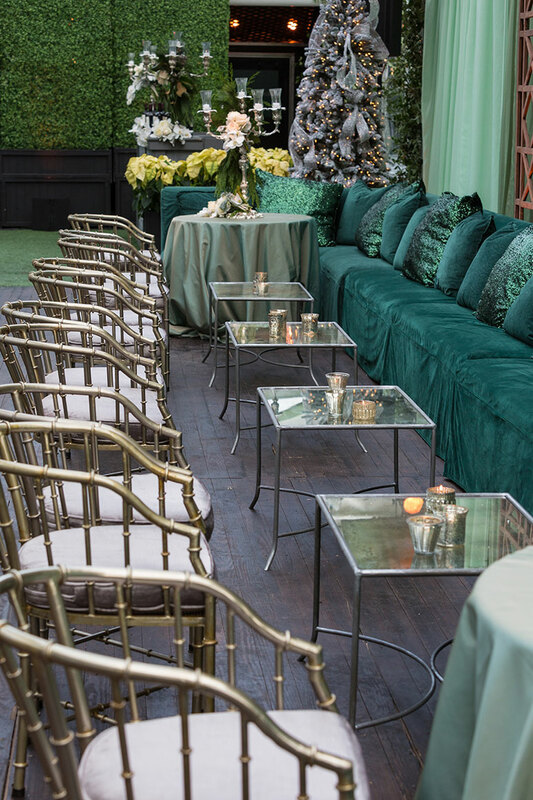 Guest made their way through flocked trees and garlands to discover twelve buffet stations (including a grand martini bar) on the heated deck. 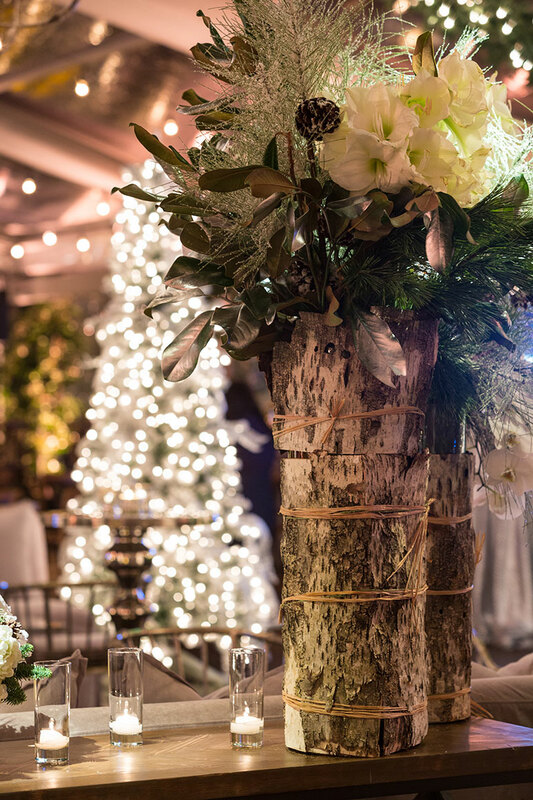 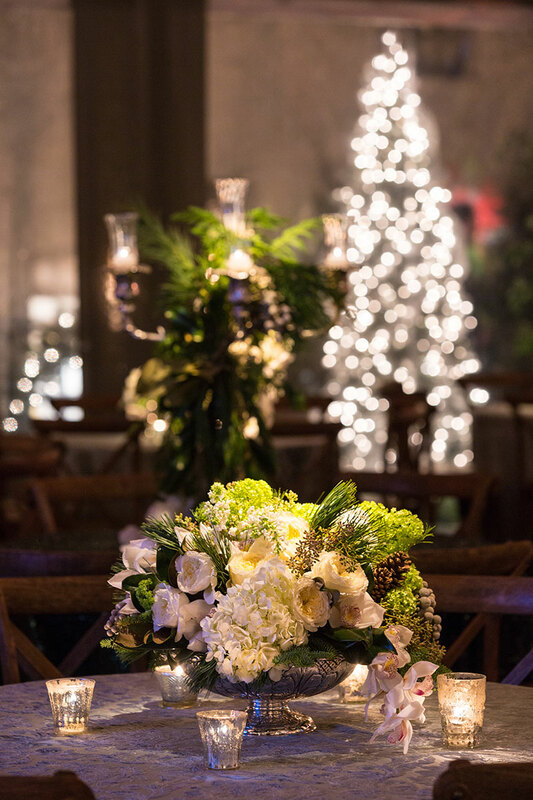 Special woodland touches including birch-lined vases, pinecones and silver accents completed the wintry effect.